The virtues of automation are highly springing up, and business ethics well understood in today’s modern world. Over the past 30 years, doctors face several challenges in improving the medication adherence of the patients. It could be either wrong medications dispensed to the patients or dosage error or exchange of incorrect prescription or it could be anything about the silly fault that leads to serious problems. There were no facilities to identify being amiss. Gone are the days, where doctors prescribe the drugs through written papers, offline pharmacy operations, and backbreaking to maintain the offline medical records. Once the smartphone introduced, it has become a huge demand for the mobile app developers, where the founders of each mobile application came up with new requirements to meet up their business standards and overtake their competitors. Such competition has become highly ferocious in the pharmaceutical industries. There are plenty of apps in the healthcare sectors, specifically designed for the doctors, patients, pharmacists, and attendees, where a single portal subdivided into several modules that best suits the user’s functionalities. Currently, as the emerging technologies such as Artificial Intelligence, Blockchain, Automation, Augmented Reality, are becoming ubiquitous, pharmacists rely on heavy technologies to help and address them to do the tasks that are often complex. 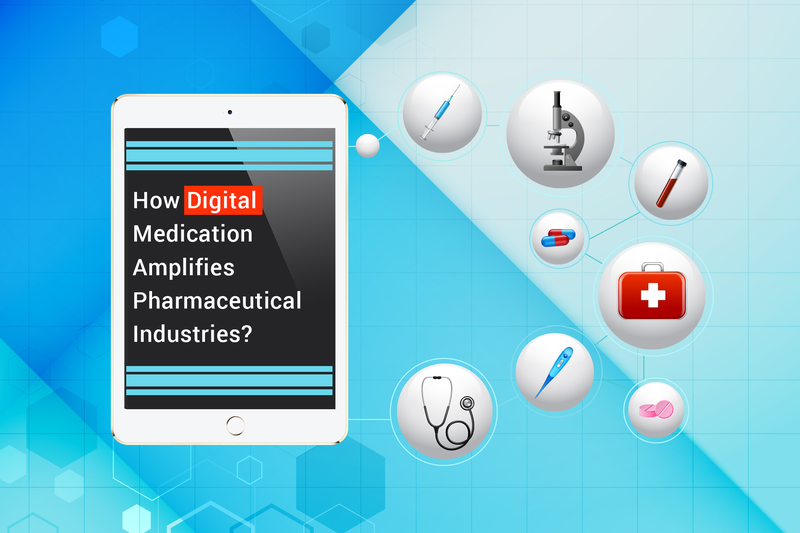 Henceforth, numerous health care apps has been proposed and automated, replacing the bits and pieces of the modules into a single subscription portal, amplifying the pharmaceutical industries and the patient’s outcome. Why Pharmacists Embrace IT Support? Pharmaceutical industries have embraced computer technology because of the benefits of automated information processing. These include empowering repetitive and monotonous tasks conducted with consistent accuracy, coherent use of terminology, nomenclature, mass customization, and communication processing. Pharmacists are already using the pharmacy management system to support their daily routines such as maintaining medical records of the patients, labeling and dispatching of drugs, and stock control under best practices. However, many pharmacies do not use the important functionalities of their system. They should also consider cross-identifying of prescribed drugs with the right patients as an authentication before dispatching the drugs to overcome the misleading of medical care, and creating positive feedback about the healthcare domain. Prescribers and Pharmacists, adapting to these novel IT systems, facilitate electronic prescribing enabled with multiple cross-authentication for proper and best drug dispatch solutions. To create this standalone healthcare portal, we’ve best-partnered with our client to dismantle the negative thoughts of the user on pharmaceutical industries. Concluding, this new IT system boosts patient care, creating positive awareness and eliminating gossips about the healthcare industries that ameliorates the pharmaceutical industries.